Rockland bed and breakfast travel guide for romantic, historic and adventure b&b's. 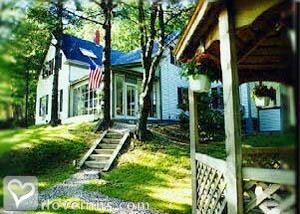 Browse through the iLoveInns.com database of Rockland, Maine bed and breakfasts and country inns to find detailed listings that include room rates, special deals and area activities. You can click on the 'check rates and availability' button to contact the innkeeper. Rockland is the self-proclaimed lobster capital of the world! It has the largest fleet of historic windjammers in the world. It has been named by Budget Travel as One of the Coolest Small Towns in the US; by National Geographic Traveler as Maine's Top Adventure Town; and a Top 9 Small Foodie Towns in US by the dailymeal.com (town is defined as a population less than 350k! - Rockland has 7,300). Rockland also has world class museums with the Farnsworth Art Museum and Wyeth Center; the new home of the Maine Contemporary Art Museum; the Maine Lighthouse Museum and just a few miles south is the Owls Head Transportation Museum and the General Knox Museum. We are the REAL Maine - rugged coast, authentic experiences and genuinely nice community. We invite you to visit us. By Berry Manor Inn. Rockland Maine was voted #2 in the 100 coolest towns in America. Criteria for this were - ability to get a great cup of coffee and a good meal; a place one is sad to leave and a place where there are more art galleries and country stores. The downtown includes The Farnsworth Museum and The Wyeth Center where the Wyeth Family's (N.C., Andrew & Jamie)is showcased. Rockland has a beautiful working harbor where lobster boats and the ferry to neighboring islands can be seen. There are many wonderful art galleries, gourmet to simple restaurants of course serving lobster, a renovated theater with wonderful events, bicycle rentals and walking paths. One of Maine's finest coastal cities is the city of Rockland. Popular for its rocky shores and lush green mountains, Rockland is the perfect hideaway for you and your family. Boasting some of the most exotic inlets and harbors, Rockland provides amazing sailing and boating pleasures. 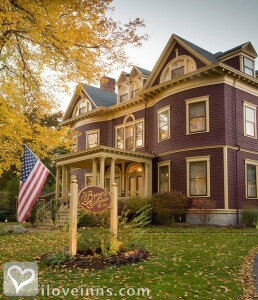 Experience New England hospitality at a Rockland bed and breakfast inn. Stroll downtown and tour the art galleries and Wyeth paintings in the Farnsworth Museum. By Berry Manor Inn.